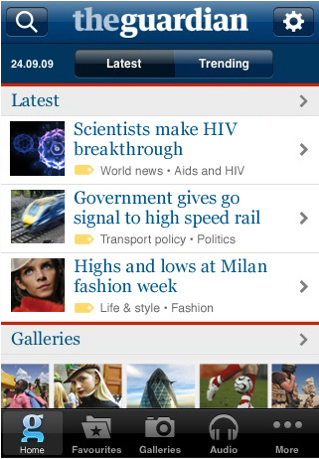 The Guardian app is a powerful tool for news junkies and those interested in global matters on a daily basis. 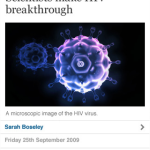 The app delivers access to galleries, articles, and audio coverage taken directly from the famous newspaper of the same name. 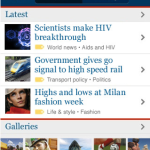 Readers of The Guardian newspaper can enjoy the same award-winning coverage through the app. It provides the reader with a simplified method of browsing due to the topics-based categories and headings. There are ways to also ensure that favorite contributor’s newest materials appear on the screen, and for custom settings to be entered into the app as well. For example, the Home screen delivers the latest or most trendy news, but the Favorites tab can easily direct the user to the subject matter they have selected on a personalized level. There are photo galleries offering full-screen views of the top images, and there are even audio libraries for live reports and coverage as well. 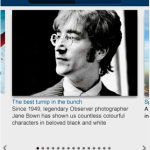 All content is available for offline reading, and the app user simply needs to indicate which subjects they would always want downloaded to the device. 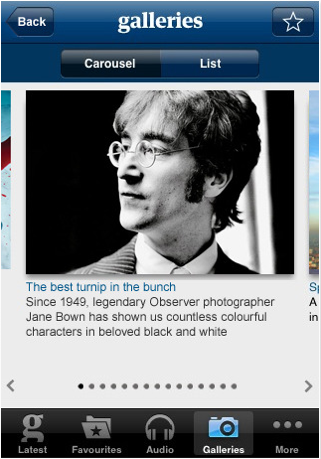 Though there are other news-oriented apps, The Guardian app is the exclusive approach to accessing the newspaper’s top notch coverage. The app functions with Android, Blackberry, Nokia, Palm, Symbian, Windows Mobile, iPhone and iPod Touch devices. The cost for the app is $3.99 and updates are included. 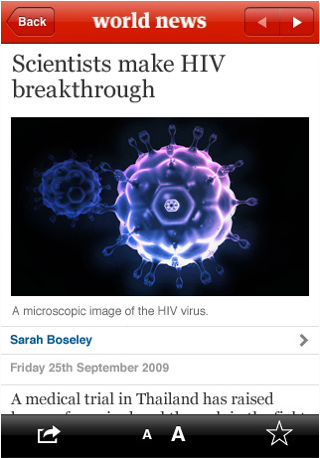 If you want all of the world’s news in a single, high-quality app, then this is the one for you to download today.